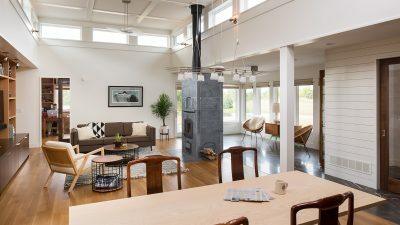 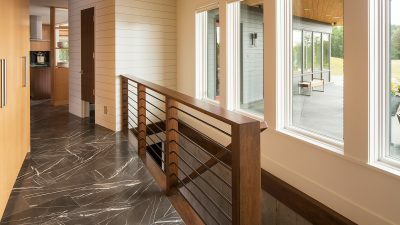 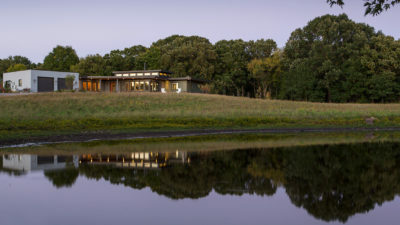 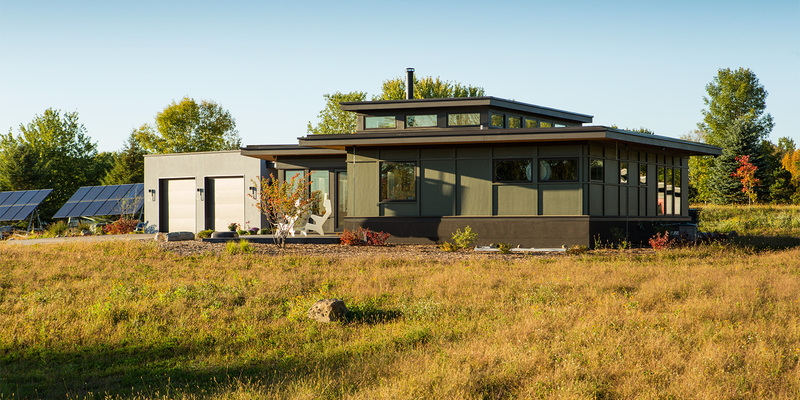 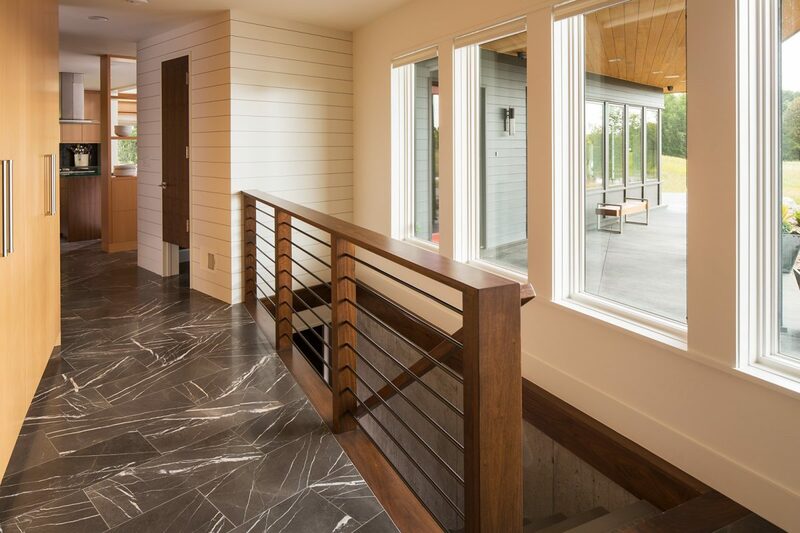 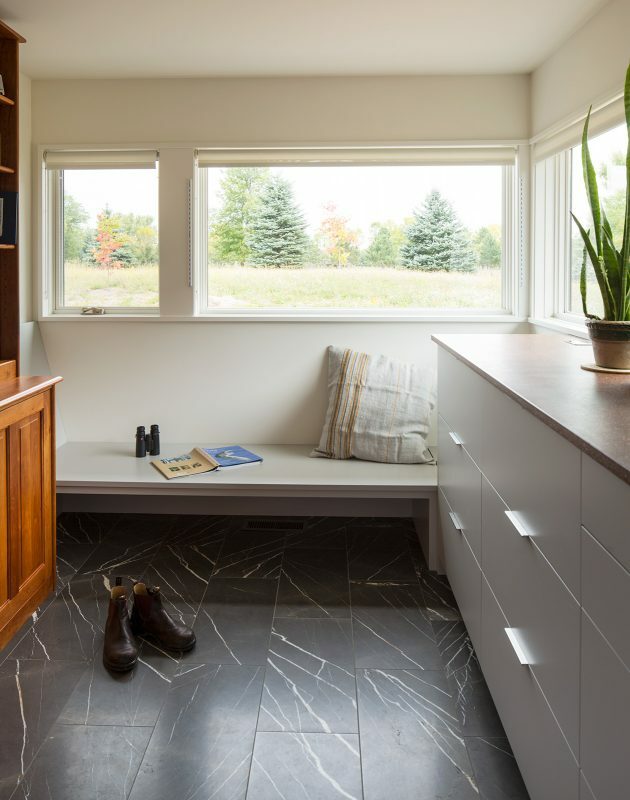 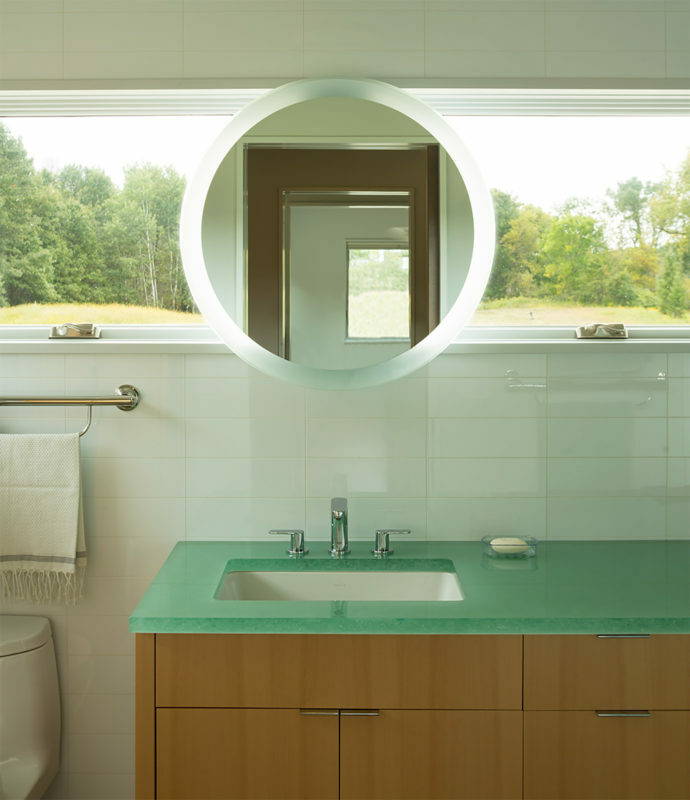 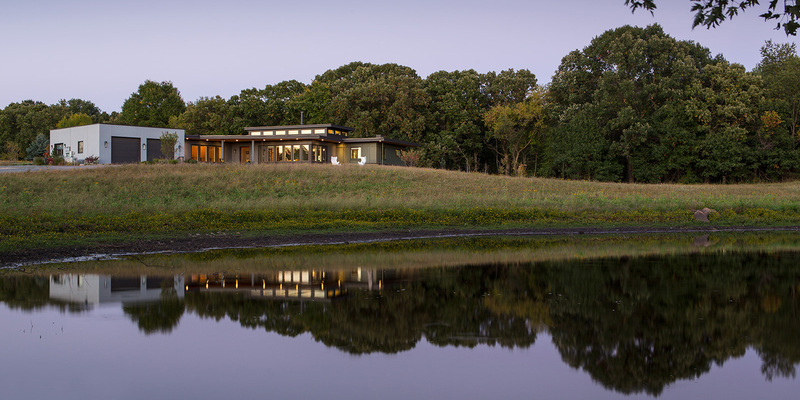 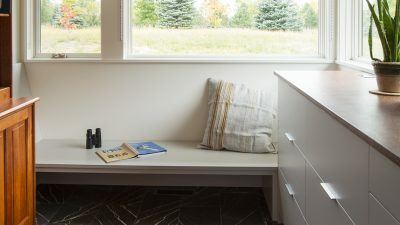 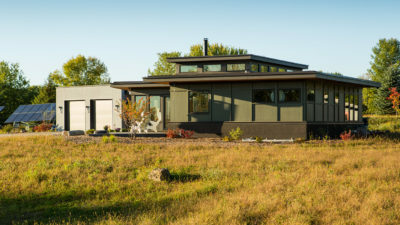 Perched atop a rolling prairie site in Lake Elmo, this new home’s open interior spaces, large expanse of glass, and strategically placed windows provide vistas in every direction. 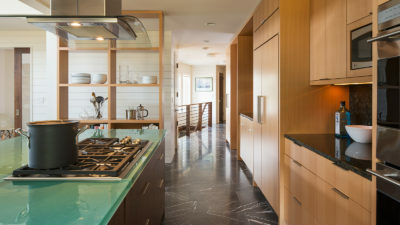 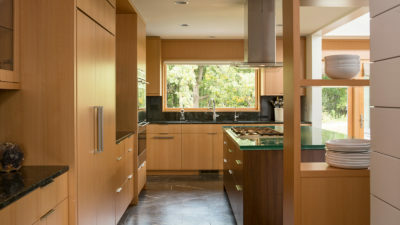 The clients’ passion for bird watching and nature was a driving force in the design of this home. 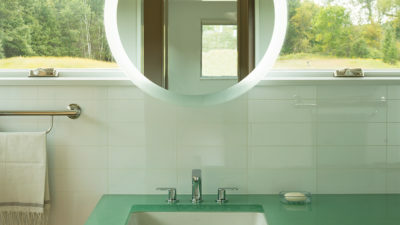 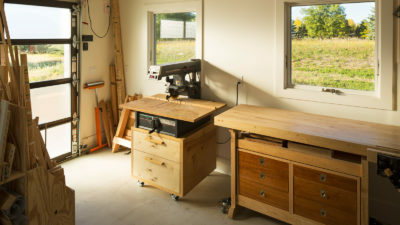 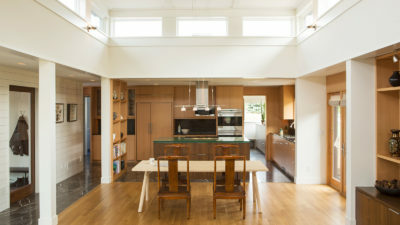 A desire to age in place also played an important role in the home’s single level arrangement. 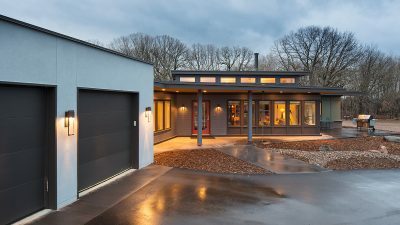 Warm, modern materials provide durability, sustainability and low maintenance, and elongated overhangs provide shade in the summer and let the warm sun in during the winter. 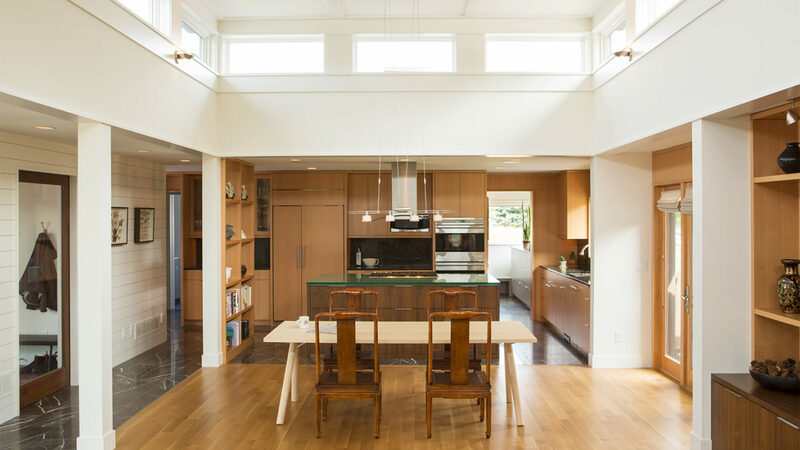 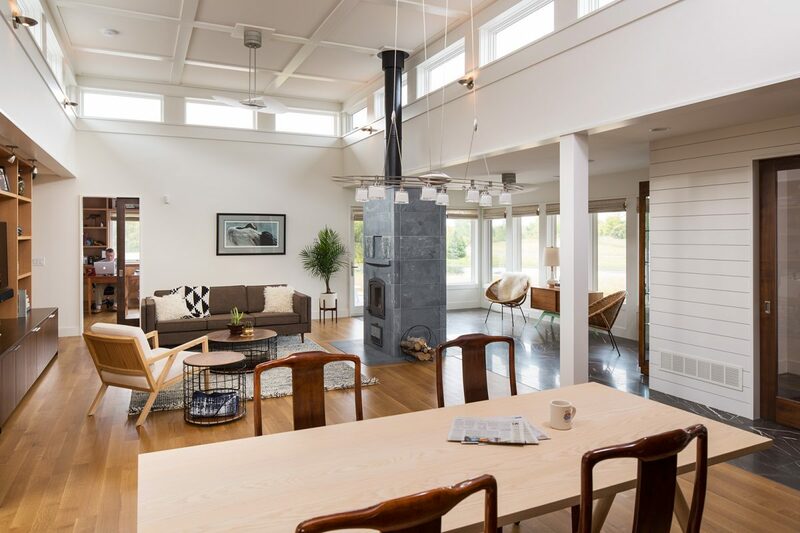 A clerestory provides natural light to the center of the home, and photo-voltaic panels on the site provide supplemental electricity year round.